This accessible handbook, A Handbook of New Testament Exegesis, provides a one-stop guide to the New Testament exegetical method. 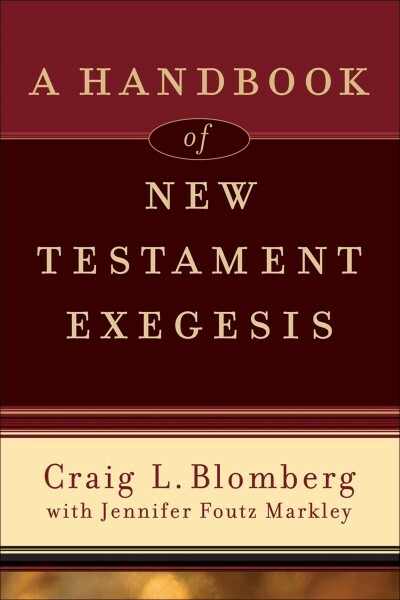 Seasoned New Testament scholar Craig Blomberg and his former research assistant Jennifer Foutz Markley offer both a broad overview of the exegetical process and a step-by-step approach to studying the New Testament in depth, helping readers understand the text and appropriate it responsibly. The book is full of illustrations of interesting or controversial New Testament texts where using the method under discussion truly makes a difference in how the texts are interpreted. Professors and students in New Testament, Greek, hermeneutics, and exegesis courses as well as those involved in ministry will value this work's sound guidance, balanced approach, and manageable size.